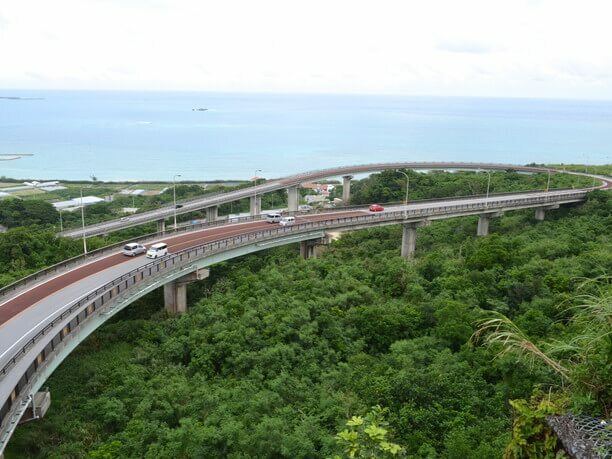 Attractive bridges in Okinawa with a superb view that you will absolutely want to drive over! The charm of a bridge leading to remote islands in the ocean is always special! With the beautiful scenery it is tempting to drive slowly or even stop. So, take care not to bother other drivers. It is also popular to walk across the bridge if the weather is nice. Walking allows you to enjoy a different view than from the car. Enjoy comfortable driving with a magnificent view! 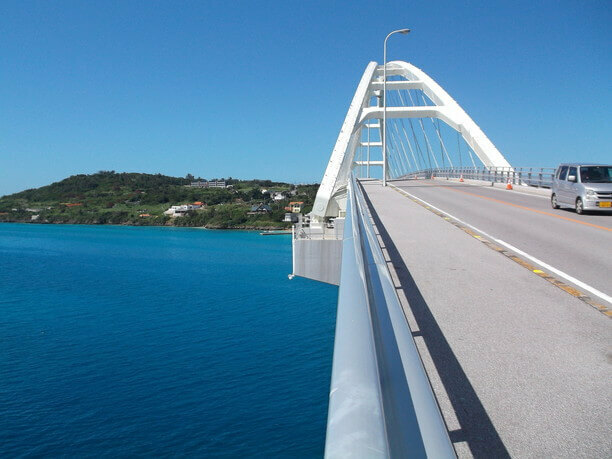 The bridge in Uruma connects the Katsuren Peninsula to the of Henza Jima Islands. This road, which is about 3 miles long, is one of the favorite date spots for local people. In the middle of the bridge, there is a sea station called Ayahashi-Kan. 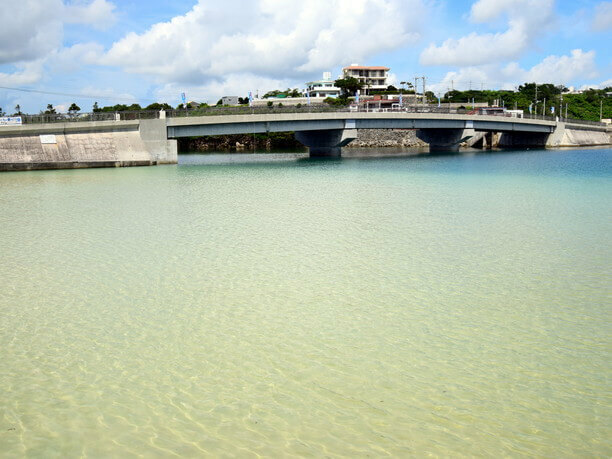 It is an Okinawa Prefecture Tourist Attraction. It was selected as one of the top thirty-five scenic overlooks in Japan! 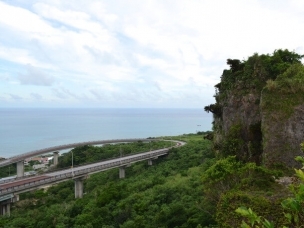 You can enjoy comfortable driving while viewing the beautiful scenery unique to Okinawa. Enjoy the beauty of this bridge from various points! 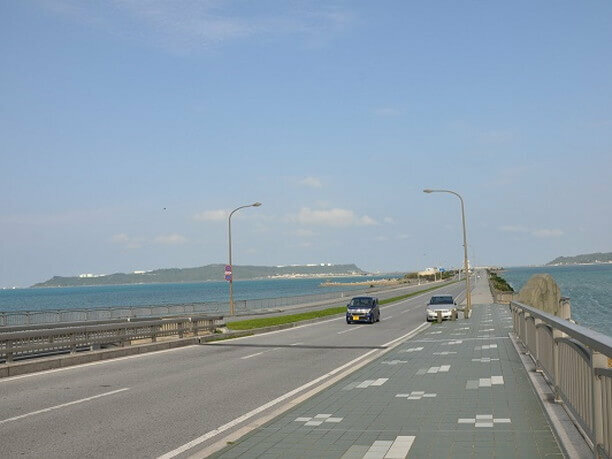 Kouri Ohashi is a bridge with a total length of about 1 ¼ miles connecting Yakigoshima to Kouri Island. The appearance of the bridge is different depending on if you are looking at it from the top or from below, so you may want to descend to the beach and look up. 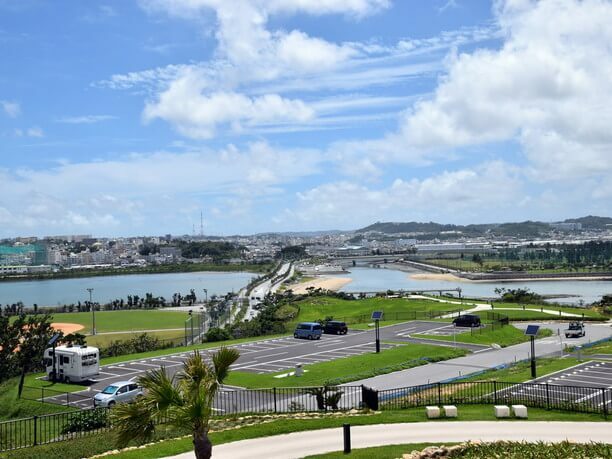 You can see it from the Kourii Ocean Tower on Kouri Island, where it gives an exceptional ocean view. Many people choose to drive slowly while looking at the beauty of the sea, but please note, stopping is prohibited. Enjoy the view from this magnificent spot! The Niraikanai bridge in Nanjo City is a bridge with a total length of ¾ of a mile. 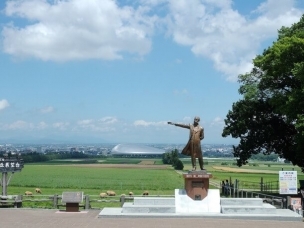 It connects areas around the magnificent cafe “Kurukuma” to the World Heritage Saya Utaki. It is actually two bridges, the Nirai Bridge and Kanai Bridge. It is a beautiful bridge that reminds you of a dragon meandering through the sky. It is a great place to see the blue Pacific ocean as well as Kudaka Jima Island and Chinanmisaki Park. If the weather is nice, you can also enjoy spectacular views while walking on the sidewalk. 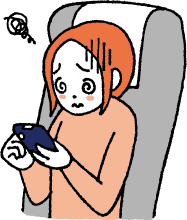 There is a parking spaces near the tunnel side of the mountain (near the Ground Self Defense Force, Chinans division), so please park there when taking a walk on the sidewalk. Do not miss this superb view of Walmi Ohashi! The Warumi Ohashi bridge, with a length of about 315 yards is a concrete arch bridge connecting the Nakijinson Amesoko with Yagoa Jima Island. 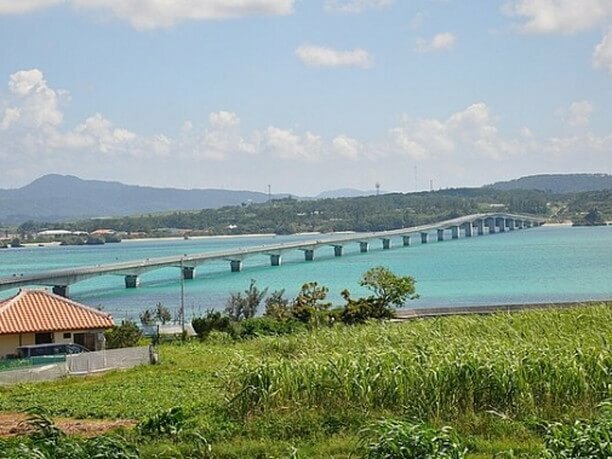 In the vicinity of the bridge, you will be able to enjoy a spectacular view of the rich nature of Hanejinaikai Island and Yaku Jima Island and Kouri island beyond that. 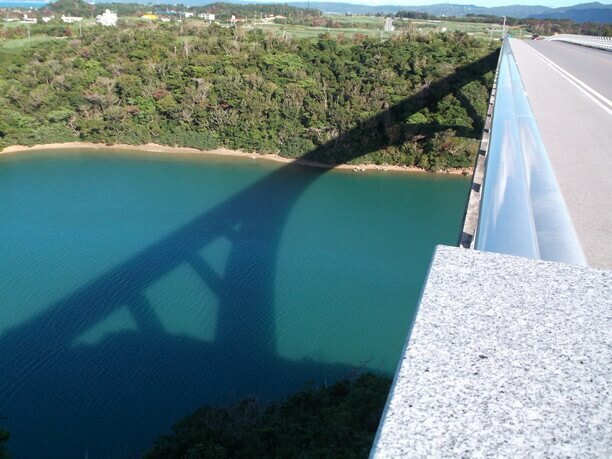 Also, the shadow of the arch that drops onto the blue water surface of the Walmi Strait creates a superb view of the Walmi Bridge. If you have time, you can stop by the “Bridge station Rikarika Warumi” in front of the bridge of Nakijinson village and enjoy the view from the observation deck. In addition to selling agricultural products and processed products, you can enjoy meals using local ingredients. Enjoy extraordinary tempura on these remote islands! Oku-Jima is located in Tamagusuku area of Nanjo City, is a perfect island to take a break in the middle of the southern drive. A bridge was built in 1935, and it can be easily crossed over by car or on foot. The Okinawa style tempura that is made on this island is famous. There are small tempura shops scattered all over the island. At every shop you can enjoy delicious tempura at a reasonable price of 100 yen or less. The beach that is right under the bridge is an excellent place to see an outstanding view of the ocean. Enjoying playing on this remote island filled with charm! Senaga Jima is small isolated island connected by the bridge from the main island. 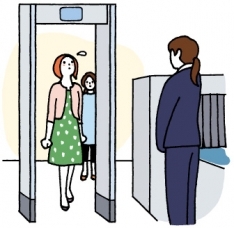 It is located only 15 minutes by car from Naha airport. Besides natural beaches and outdoor hot-spring baths, there is the Terrace Mall “Umikazi Terrace” that creates even more appeal. It is also a great place to watch airplanes taking off from and landing at the airport. It is an island that takes less than 5 minutes by car to go around, so if you have time, you may also want to explore the island on foot. Walking to Sesoko Jima is recommended! The Sesoko Bridge, with its beautiful white arch is ½ a mile in length and leads to Sesoko Jima island. If you visit Sesoko Jima during the spring and fall or in the cooler part of summer, you may also want to walk down the bridge. It offers a beautiful view of the sea as well as a superb view of the Motobu Peninsula and Sesoko Jima island. In addition, there is a cultural property on the island, a sanctuary called Utaki, and a walking route that allows you to visit the shrine on Sesoko Jima island, and access to Anchi Hama Beach and Soseko Beach at the bottom of the Sesoko Bridge. 8 recommended Okinawa dating sights for couples. Okinawa’s top 9 recommended Sea Cafés for a great lunch with an ocean view!